Once you have successfully logged into your WordPress website you will be presented with the administrative screen. On the left side, you will see a number of tabs; Dashboard, Posts, Media, Pages, Comments, Appearance, Plugins, Users, Tools and Settings. Please note that you may not be able to see all of these tabs as some could have been hidden as they are not relevant to your website. The dashboard contains general information about your website. It displays your recent activity on the website, the number of pages and posts that you have and allows you to quickly create a new blog article. You’ll also notice at the top left of the screen you’ll see the name of your website. In this case you’ll see ‘Example Website’. If you hover your mouse or click on ‘Example Website’ if you are using a mobile device you will see ‘View Site’. Clicking on ‘View Site’ will allow you to view the homepage of your website. A WordPress post can be thought of as a news or blog article. New posts are generally added on a regular basis and they can be put into categories or tagged with specific key words. They are dynamic and usually keep your audience up-to-date with what you or your business are working on. The media library stores the photos, documents, videos and files that have been added to your website. Pages are generally used in WordPress for content that doesn’t change on a regular basis. An example of a page would be ‘About Us’ or ‘Contact Us’. However, you will still be able to update the content on a page at any time. If commenting is enabled on your website readers will be able to respond to your blog articles or news through the comment form. Before the comments are added to your website for everyone to read you will need to approve them. This approval process stops SPAM or any unwanted messages showing up on your website. There a various sub-tabs within the appearance tab. These include Themes, Customize, Widgets, Menus, Header, Background and Editor. 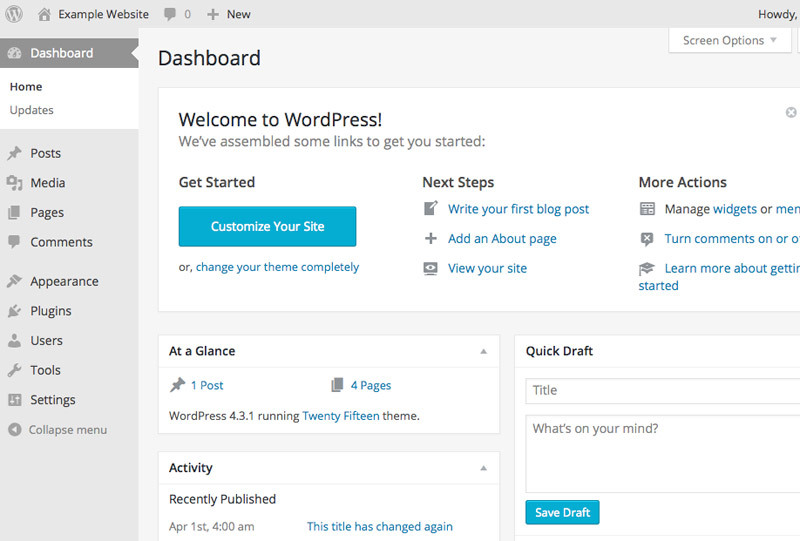 If you have opted for a pre-purchased WordPress theme then all of these options will be visible to you. However, if you’ve opted for a custom designed WordPress theme then you may only see Widgets and Menus as these would be the most relevant to your website’s set-up. WordPress plugins are used to extend your website and add in additional functionality. An example of this would be adding in a contact form or photo gallery to your website. Plugins are also used to incorporate better search engine optimisation (SEO) or to add extra security to your website. You can give people access to your website’s WordPress administrative screen by adding them as a user. This will create an account for them with a username and password. They will then login the same way as you do to access the administrative screen. You can also specify how much of the administrative screen they will be able to view and edit. This is done through ‘roles’. You can set a user to be an administrator, contributor, author, editor or subscriber. Additional roles can be created if necessary. 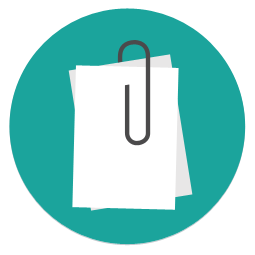 The tools tab allows you to import content for external sources including other WordPress websites, Tumblr, RSS or Blogger. This is very useful for migrating content from your old website to your new website. There are a number of options within the settings tab. From there you’ll be able to define the website title and tagline, how many blog posts will show on your blog page and set your permalink structure.